It’s been a busy quarter at the Spokane Falls Community College Pullman Center. I’m the advisor of the Creative Writing Club, which undertook a joint venture with Film Club this year. The Creative Writing Club produced a screenplay, which the Film Club then produced. The final product was released at an end-of-quarter showing on June 8th. 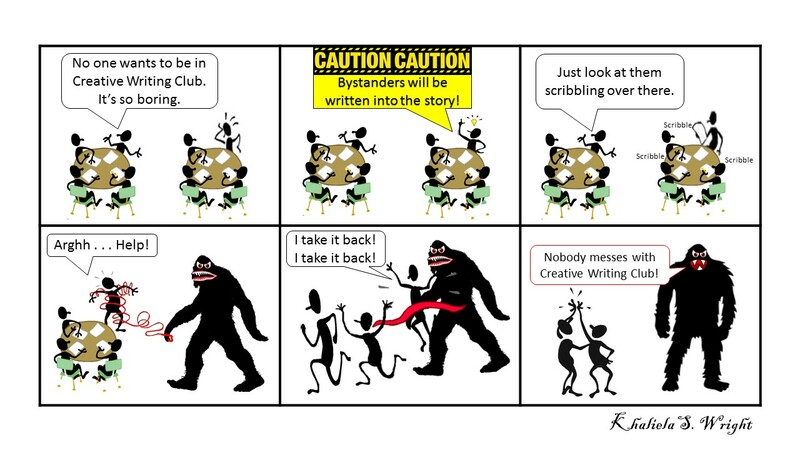 When the script was complete, the club decided that they wanted to try their hand at comic strips and came up with a couple of fun ones. Those were displayed on the big screen in the foyer, enabling them to share their creativity with the rest of the student body. I received permission from some of the students to display their work here. 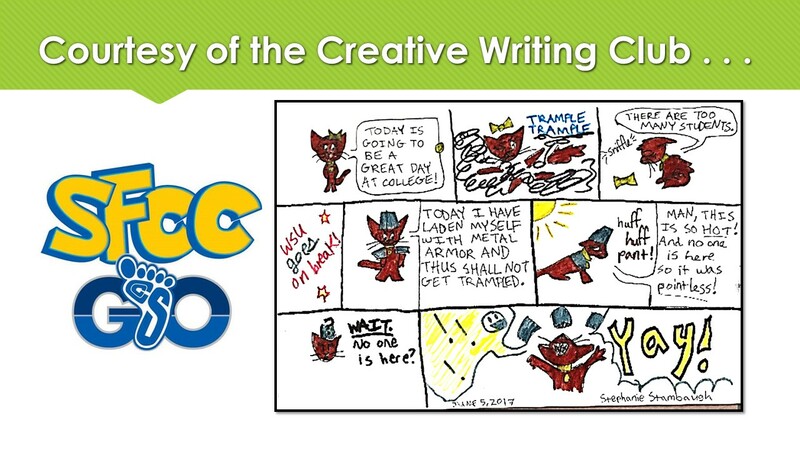 I was also inspired by their determination to work in the face of adversity and created a comic of my own. I fully stand behind the notion that unlikable jerks make great fodder for future stories, thus bystanders might find themselves between the pages of the latest creation. And one of my photographs was selected to grace the Pullman Center website: http://pullman.spokanefalls.edu/. All in all, it was a good quarter and I’m more than ready for summer.